Are you looking for an experienced Bath Remodel store in 92607? Floor Gallery has been one of Orange County’s most reliable name when it comes to Bath Remodel since 1990. We stock the largest range of carpet, hardwood, luxury vinyl and other designer favorites in the area. From gorgeous flooring to terrific cabinets and countertops, you can expect excellence products and professional craftsmanship every time. Floor Gallery is truly your one-stop source for kitchen remodeling, bath remodeling, and flooring in Mission Viejo. For over two decades, Owner Mark Hamilton has built a solid reputation as Orange County’s most trustedBath Remodel contractor. Since he was a young boy, Mark Hamilton has been enthusiastic about buildings. That fascination became a lifelong passion that serves as a catalyst for his successful Floor Gallery custom kitchen and bath business. He was issued his contractor’s license in 1988 and for the next 10 years he was involved in building custom homes. From there, he moved to building tract homes and built up to 500 homes per year. When you work with Mark, you can trust that he will never rely on sub-contractors. He has his own team of tile, granite and flooring experts in their distinctive fields. Floor Gallery is fast and efficient Bath Remodel can be done in as little as five days. Mark realizes what is important to homeowners during remodeling of any size. Check out the Floor Gallery’s elegant showroom in Mission Viejo and see the vast array of products and services we offer. Carpet, tile, vinyl, hardwood, laminate, natural stone, wall cabinets, kitchen countertops, backsplash, and complete kitchen and bath renovations. Our experienced and friendly staff can handle any job. Floor Gallery guarantees all of their products and services. With over 29 years of unparalleled service and very competitive prices, Mark and his team will surely be an important part of the community for many years to come. In 92607, the kitchen serves as a gathering place for friends and family, and the heartbeat of the home. This is why an ergonomically-designed kitchen space not only adds value to the home but to the quality of life within it. As a result, a kitchen renovation is one of the most common forms of upgrading all that the kitchen space has to offer within a home. The first step in any kitchen remodeling project is the design phase, where a professional designer works with the homeowner to create a design that will achieve the goals of the homeowner with the kitchen space. Bathroom remodeling in 92607y not only will make your home more charming it also ads value to it. A well-planned, beautifully designed bathroom remodeling adds comfort to any home. Floor Gallery is renowned for its work in bathroom reconstruction projects. When deciding to invest in a bathroom remodel in Mission Viejo, you want to choose the most competent and dedicated home remodelers. Floor Gallery has been a dependable source for hundreds of homes in the Mission Viejo area. First, one of our professional, experienced designers will go to your home and help you design the bathroom you desire that best meets your requirements. With Floor Gallery, you will have many options with high-quality products to choose from. From updating floors to changing the vanity, countertops, shower, and bathtub, Floor Gallery uses the highest quality products from Bertch, Kohler, Delta, Deltile and many other trustworthy sources. Kitchen Cabinets making is booming in Orange County because professionally designed kitchen cabinets can add a lot of appeal to any kitchen. 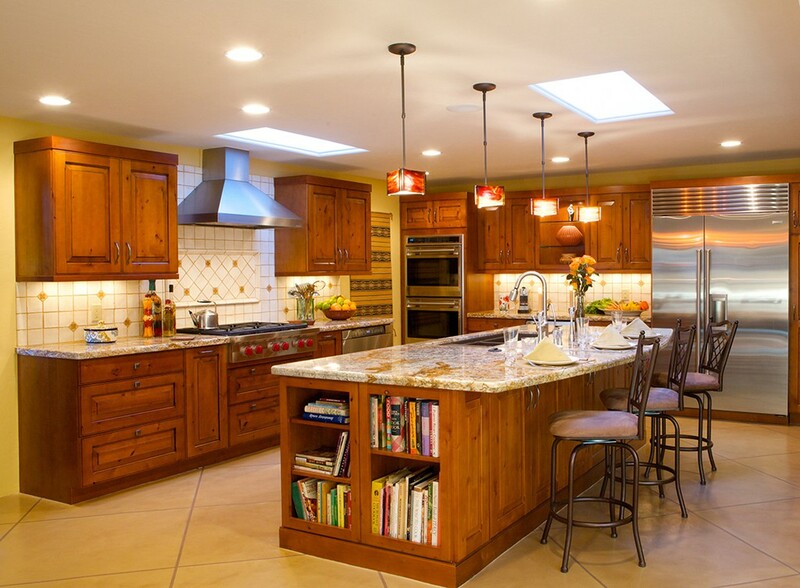 Floor Gallery is a leader in the kitchen cabinet market in Mission Viejo. We have a variety of kitchen cabinets to fit all needs and styles of our clients. Floor Gallery constructs amazing cabinetry for your home. We are one of the oldest, most stable home remodeling companies in the business. Our cabinets and vanities are built using time-proven techniques to guarantee consistent quality. Floor Gallery cabinetry specializes in cabinet styling that is aligned with trendy and updated home fashion. Floor Gallery is OC’s top flooring company. No matter what type of flooring you are looking for, Floor Gallery in Mission Viejo is the smart choice. We have been Orange County’s custom wood flooring specialists for over 20 years, installing and servicing all types of wood flooring for residential and commercial construction and restoration projects all through Orange County. Our commitment to quality and outstanding workmanship can be seen in homes, office buildings and restaurants throughout Orange County. Floor Gallery is registered and established Granite and Quartz Countertops supplier in Mission Viejo California. We are a family owned and operated kitchen, bath, and flooring business that focuses on granite, marble, quartz countertops and tile flooring installation for both residential and commercial remodeling projects. We’re proud to deliver excellent flooring service in 92607o and all surrounding areas. Have questions? We’re happy to help. Fill out the form on our Contact Us page, call or visit our showroom. We have years of knowledge installing all types of flooring: broadloom carpet, engineered hardwood, porcelain tile – you name it, we’ve done it. For projects that go beyond flooring: we also carry and install European-inspired cabinetry, granite countertops & backsplashes, and more! Let us do the heavy lifting while you enjoy your investment! From selection to installation, we’ve got you covered. With nearly 27 years of experience in Mission Viejo, we take pride in bringing the best to homeowner: Shaw, Armstrong, Mohawk and more. Don’t settle for less, call us today and let the professional designer and installers at Floor Gallery take care of all your flooring and home makeover needs. When it comes to Bath Remodel in Mission Viejo, Floor Gallery is your best option for quality and unsurpassed customer services.